Since 1999, China has experienced the most concerted campaign of propaganda and disinformation that the world has ever seen—one using every communication channel and the communist regime’s entire mass media arsenal. The key target of this campaign has been people who follow the ancient spiritual practice of Falun Gong. In the most literal sense, their voices have been silenced amid a cacophony of venom and lies. Here, they have the opportunity to present their stories of perseverance, faith, and personal evolution, straight from the heart. 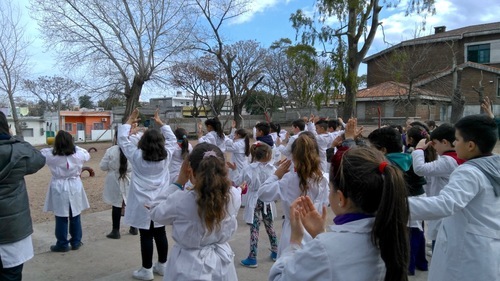 In Montevideo, the capital of Uruguay, one elementary school had been facing disciplinary problems with its students. A project was launched in March 2016 aimed at creating a calmer atmosphere in the classroom. 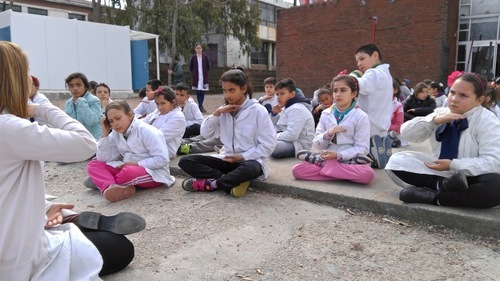 One sixth-grade teacher, Yennyfer Quartino, took an unorthodox approach, and introduced her students to a meditation practice, Falun Gong, that has dramatically improved her own personal and spiritual health. Falun Gong is a belief system that integrates the values of Truthfulness, Benevolence, and Forbearance with a meditation exercise, and is practiced in more than 100 countries across the world. Quartino’s students, who range between 11 and 14 years old, had been experiencing problems with fatigue and a lack of concentration in the classroom, as well as frequent scuffles breaking out between them. Quartino had been teaching the same group of students since they were in the fifth grade, and she had previously made attempts to quell the disciplinary issues with the students, to no avail. “This year we decided to try something different, which is Falun Dafa, and the results have been wonderful,” Quartino said. “They benefited not only physically, but spiritually. They breathe and relax, and come to the classroom focused and with a good attitude,” said the school’s principal. At the beginning, Quartino led her students to practice the exercises in the school courtyard right after lunch, before they returned to class. After a few weeks, students from other classes joined them in the daily exercise practice. Not only have the teachers seen results in a more tranquil classroom, but the students themselves have attested to the transformation they’ve experienced as a result of the exercise. The practice has not only brought more energy to the students in the classroom, but also encouraged them to resolve their disputes with words instead of fists, and teachers have observed a marked decline in the number of fights breaking out among the students. “These kids had serious concentration problems and were violent in the classroom. The changes they’ve made are soul-stirring,” said one school inspector. “Before, everyone was bad tempered, but now we are calmer,” said Joaquín, a sixth-grader at the school.